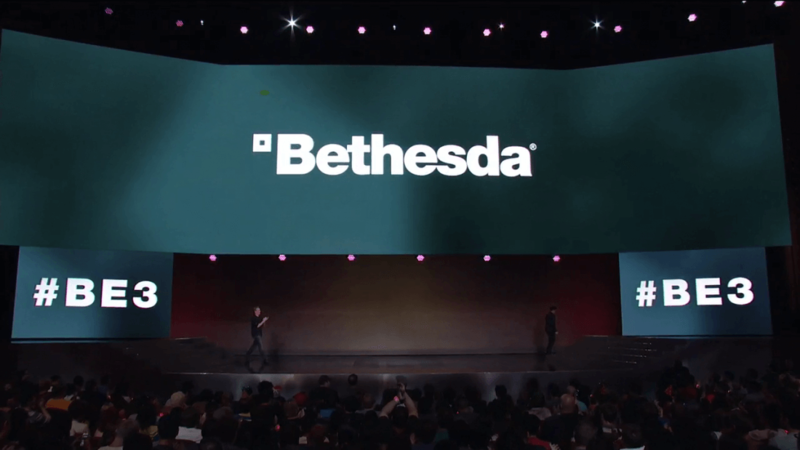 Bethesda had the unenviable task of following Microsoft (albeit many hours later) with its pre-e3 press briefing yesterday. The developer and publisher unveiled some excellent trailers at the event, including a new Wolfenstein title and standalone Dishonored chapter. Following on from 2014’s brilliant Wolfenstein: The New Order and 2015’s Wolfenstein: The Old Blood comes the next chapter in the story of B.J. Blazkowicz (who is also appearing in Quake Champions) and his fight against the Nazis. Wolfenstein 2: The New Colossus is set during 1961 where the hero is trying to take back a conquered America with the help of resistance fighters. The game is set for release on October 27th. Check out the awesome, and very long, trailer below. Dishonored: Death of the Outsider puts you in the boots of Dreadful Whale Captain Meagan Foster, aka Billy Lurk, who we see rescuing her former master, Daud. The man who murdered Empress Jessamine Kaldwin tells Lurk she must now hunt down the all-powerful Outsider. No word yet on price or the game’s length. Microsoft may have failed to mention virtual reality at its event, but Bethesda was happy to show off two VR experiences in Doom and Fallout 4. Doom VFR looks impressive, and, like several other VR titles, lets players move about using teleportation. Fallout 4 VR, meanwhile, adds some new features to the 2015 title to make it work as a virtual reality experience. We thought The Evil Within 2 might appear at last year’s E3, but it was a no-show. Yesterday, however, Bethesda revealed the first trailer for the sequel to Shinji Mikami’s 2014 horror. It will launch on October 13 - a Friday, fittingly. Players will once again take on the role of police office Sebastian Castellanos, who has discovered the daughter he presumed to be dead is still alive. It also features a snazzy cover of Duran Duran’s Ordinary World. Bethesda revealed some info on the Switch version of The Elder Scrolls 5: Skyrim, including amiibo support and the ability to dress up as Link. There was also an announcement for the Creation Club, an in-game mod storefront for Fallout 4 and Skyrim. It features curated content from “the very best” of community creators and Bethesda itself that can be bought with real money.